Giorgio Armani is an Italian fashion designer, particularly noted for his menswear. He is known today for his clean, tailored lines. He formed his company, Armani, in 1975, and by 2001 was acclaimed as the most successful designer that Italy has produced. He is credited with pioneering red-carpet fashion. 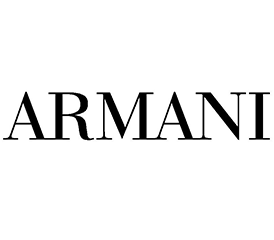 Armani was born in the northern Italian town of Piacenza, where he was raised with older brother Sergio and younger sister Rosanna by his mother Maria Raimondi and father Ugo Armani (an accountant for a transport company of Italo-Armenian descent). While at secondary school at the Liceo Scientifico Respighi in Piacenza, Armani aspired to a career in medicine, particularly after reading A. J. Cronin's The Citadel. He enrolled in the Department of Medicine at the University of Milan, but after three years, in 1953, he left and joined the army. Due to his medical background, he was assigned to the Military Hospital in Verona, where he would attend shows at the Arena. He eventually decided to look for a different career path.